All the tips you need to know to NOT overspend at your wedding! Most of you would have dreamt about your grand-wedding day right since your childhood! Although, I'm pretty sure you didn’t really think-through how much will it cost! Wedding planning ,as we all know, is no easy task. One has to figure out the venue, photography, outfits, food, décor, music, gifts and the list goes on, while sticking to a strict budget! Also, being prepared for any last minute fiscos which can completely shake your budget after all. 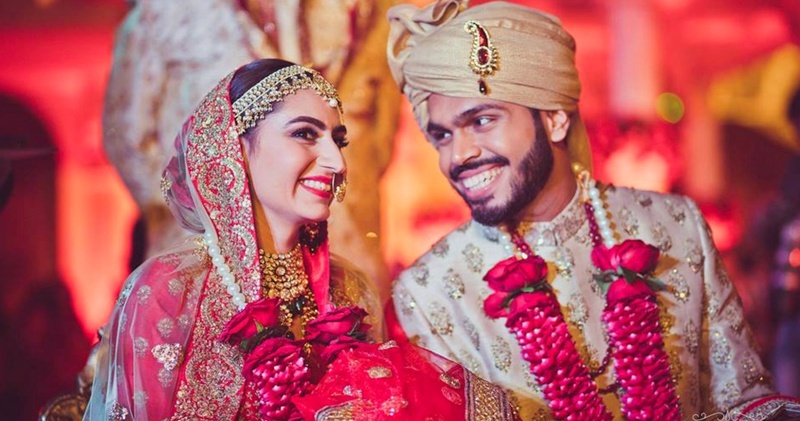 So, to make sure you are not too harsh on your wallet, I’ve some recommendations on how to save on this big-fat-wedding budget of yours while having the shaadi of your dreams! Your wedding date plays a very important role in order to save money. If you decide to tie the knot during the peak wedding months of November to February, you’ll end up paying a little extra to all the vendors. To save these costs, either don’t go in for the peak wedding months or try making all your bookings right on time. - Caterers give heavy discounts ! Firstly because they are cheaper, and secondly because you’ll be guilt free as they are not Blood Diamonds. Road trips and cross-country weekends are fun and awesome, but just think of how much you’ll save if you were to choose a hot-and-groovy spot in your own city instead! Not only will you save on gas and airfare, but you'll also know a lot about your city and also, the most fun and inexpensive places to go for your partayyy. A good rule of thumb: you should invite the people - who have spent time with you as a couple, who play a crucial part in your present lifestyle. Divide your guests into groups: immediate family, closest relatives, extended relatives, family friends, friends, acquaintances, kids, coworkers, etc. Once you and your fiance’ have classified your lists, see if you can trim the list by removing people who don't matter to you much. Keep going and then evaluate each possible guest individually. While printed invitations are ah-mazing lovely, the purchase price adds up, and even more if they are hand-delivered or mailed overseas! So, if a simple E-invite isn't your style for anything fancier, then get a little creative and consider making a personal video to share the wedding details online. If you're a Photoshop wiz (or have a friend who is), then think about designing and printing your own invites! It can sound like a lot of work, but you'll have the flexibility to choose any printing method that works with your budget, and you'll have the satisfaction of creating works of art for your big day! Look for bulk or wholesale deals, which will trim your per-favor cost. Candy, soaps, and some nibbles are excellent candidates to find at low prices in large quantities. You can also go to NGOs for wedding favours for things like homemade peanut butter or honey which are priced lower than the market cost and you’ll even give back to the society. When you keep a limited bar with signature cocktails, people tend to stick to those drinks and run up a smaller bill than with an open bar with unlimited choices! A lot of venues offer a cheaper package for lunch and brunch as opposed to a full-blown dinner. You could choose to do a fabulous sit down lunch/brunch after your morning pheras with some light cocktails flowing on the side and save a ton of per plate dinner cost! There are a lot of venues that come with their own decor. These turn out to be a lot more cheaper than hiring someone else to do it for you! Also, the reason a venue has 2-3 repetitive themes is because the decorator uses and reuses each time. As there is no-need to make new elements always, the pricing is low! This can sound a little extreme, but believe me, you can cut back so much, if you just choose to have some elements of your theme at the wedding! For example, a boho-mehendi will have everything boho and you'll end up spending a lot extra over-explaining the boho-theme. But a few simple boho elements - that's good, classy and will explain your point without trying too hard. Don't splurge on those Manolo Blahnik and Jimmy Choos. Explore brands that are good for the wallet and yet stylish. Check out outlet malls and discount department stores, but definitely keep your comfort a priority. I hope these points help you to save some bucks and still have the dream wedding. Because hey, going into debt because of a wedding isn't exactly the most romantic way to start a marriage.